New pool bath house, office, guard shack and pavilion. 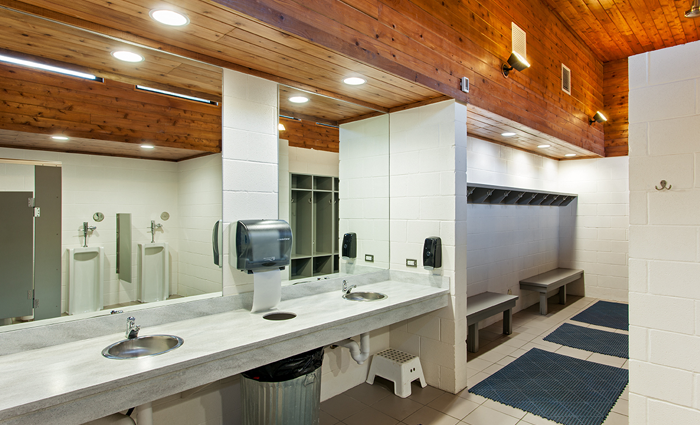 The project was built while keeping the existing bath house open and the pool operational. After opening the new one, the old bath was demolished so the pool deck and shade structure could be installed. 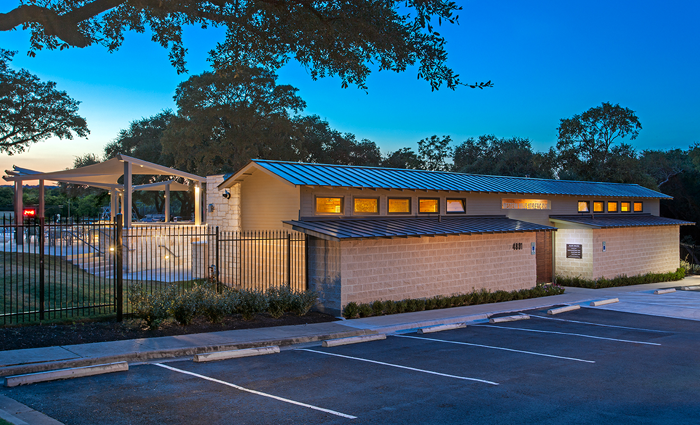 Custom pivot gate on the front, standing seam roof, MEP, stained cedar ceilings, 8 showers, dressing rooms, etc.